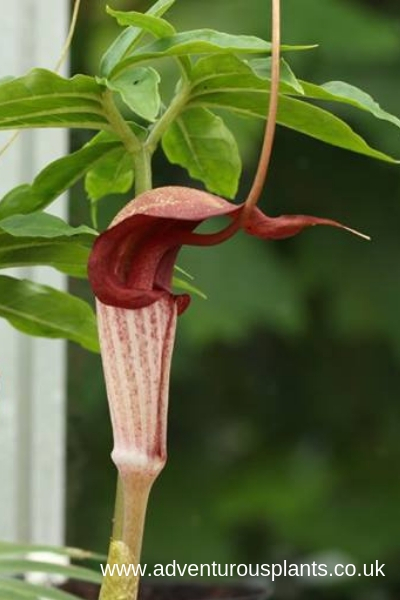 1 x seed packet containing 10x Arisaema thunbergii ssp. urashima ‘Akabana’ seeds. 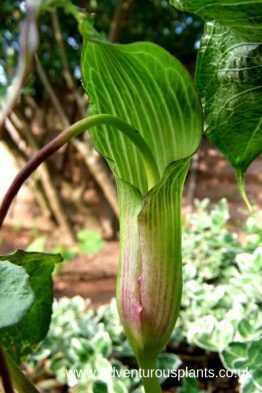 Arisaema thunbergii ssp. 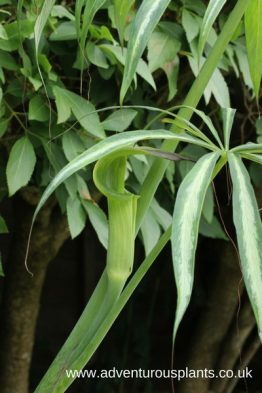 urashima is a stunning plant that produces sinister looking spathes with a sharply upturned spadix. 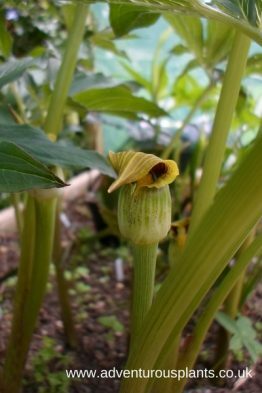 Typically it makes spathes with a dark colouration, however this is one of the most variable Arisaema in terms of colour with numerous colour strains being very highly prized in its native Japan. Here in the UK, coloured forms are very rarely encountered. This is your chance to grow seeds from an excellent red form. These red forms are often termed ‘Akabana’ in Japan. Both male and female parents were red colour forms. It is vital to note that this species does not make a seed leaf in it’s first year. 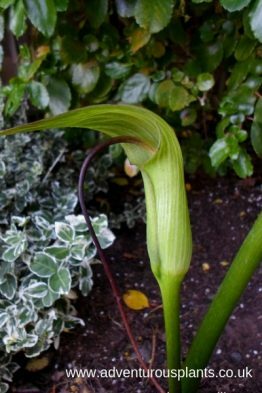 Rather, it produces an underground pseudo-tuber which will throw out the first leaves in the second year following germination. Don’t throw the pots out! 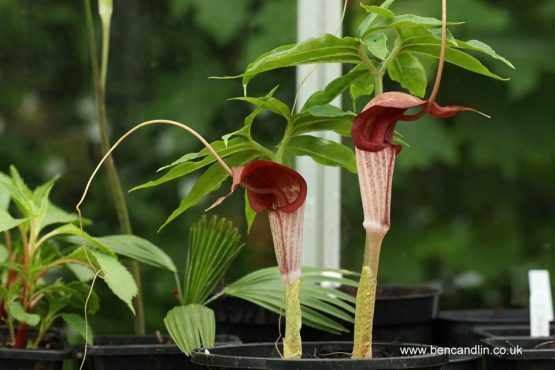 Easy to grow, this wonderful plant is fully hardy to cold when planted in the ground. Protect from frost if grown in a pot. The usual excellent drainage and semi-shade is required for long term success in the garden. 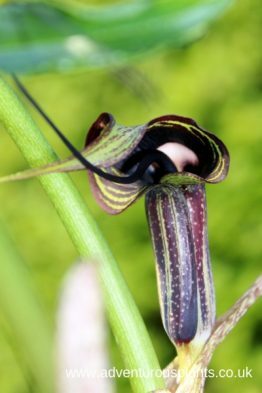 According to current botanical taxonomy, there are 3 sub-species of Arisaema thunbergii: these are ‘thunbergii’, ‘urashma’ and ‘autumnale’. However, there is a very compelling case to be made for all three to be individual species due to their physical differences and the fact that they seem unable to hybridise between themselves.